Tire-busting potholes ruin your day. Graffiti brings down the neighborhood. Road kill - nobody wants to see that. But you can't fix these problems yourself. So, who do you call at City Hall? Nobody! Report potholes, graffiti, road kill and more to your local government through Report2Gov. Everyone wants safe and clean communities. 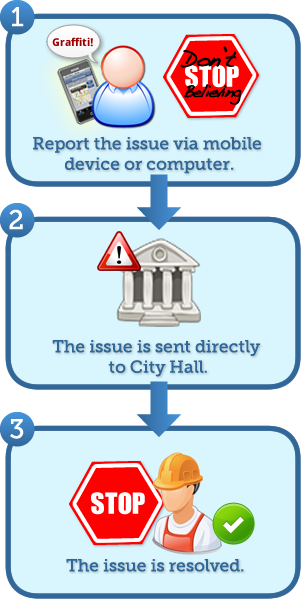 Now it's easy to make sure your City officials know what's going on.